The two parties, which had ended their 15-year-old alliance before the 2014 assembly polls, have so far held three to four rounds of talks. Opposition Congress and NCP have inched closer to stiching an alliance for next year's Lok Sabha polls as they have reached a consensus on 38 of the total 48 seats in Maharashtra and talks are on for the remaining ones, a Congress leader said Saturday. Maharashtra Congress chief Ashok Chavan said, "Congress and NCP will contest elections together. Seat sharing talks are underway, but I would not like to reveal figures at this moment." Talking to PTI, another senior Congress leader, who is part of the seat sharing talks, said consensus has been worked out on about 38 seats, while discussion is underway for the remaining constituencies. "The consensus so far is on seats, where there is no dispute. The seat sharing formula will remain by and large the same. There could be a slight change, if necessary," he said. An NCP source said his party is claiming Aurangabad, Pune, Yavatmal from the Congress quota since it was "better placed to win". "This time, Hatkanangale, Palghar, Akola which are in Congress quota, may go to smaller allies. So, Congress will get to field nominees only in 24 seats," the Congress leader said adding that the current talks between the two parties are going on "seat by seat". The two parties, which had ended their 15-year-old alliance before the 2014 assembly polls, have so far held three to four rounds of talks. They are reaching out to smaller "like minded" parties for a grand alliance in the state. A senior NCP leader said there were seven to eight disputed seats. "There will be much clarity after the next meeting between the two parties, scheduled to take place on November 2. If the differences remain, they will be resolved by the central leadership of both the parties," he said. 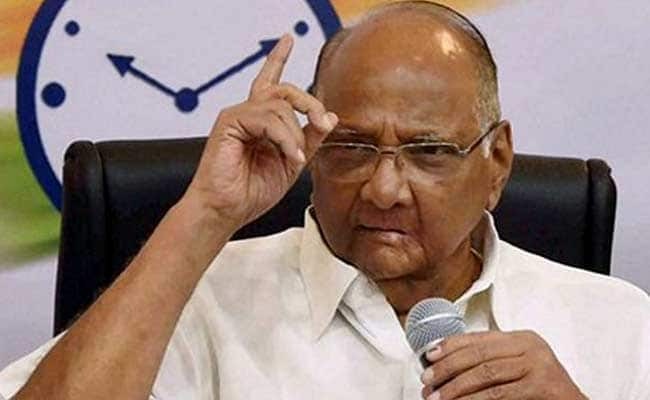 Earlier this week, Sharad Pawar had said a national alliance against BJP was unlikely since the political situation varied from state to state. He had also spoken of a state specific alliance with non-BJP/NDA regional parties leading in their respective states. He had also said that the chief minister's post would go to a party which gets maximum number of seats.